The E. Washington corridor is quickly being revitalized from it’s industrial roots into a bustling mixed-use area with retail and residential alike. 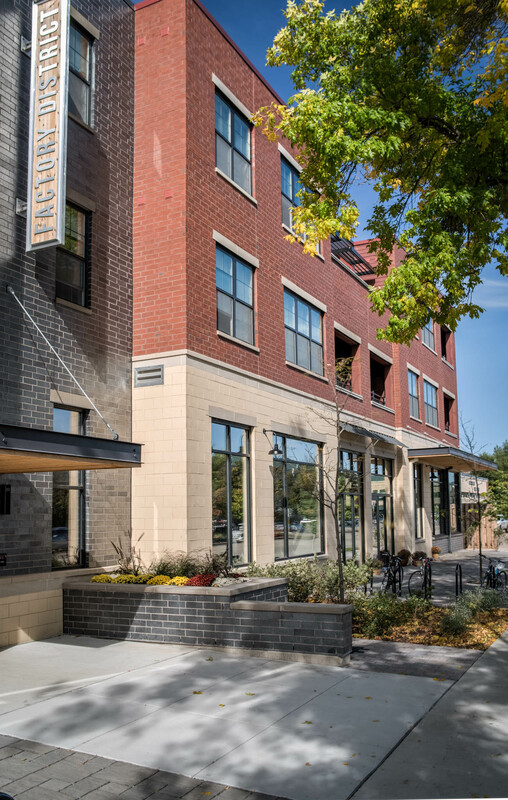 The Factory District development pays homage to the historic (and industrial) elements of this area as well as the traditional masonry characteristic of Madison. 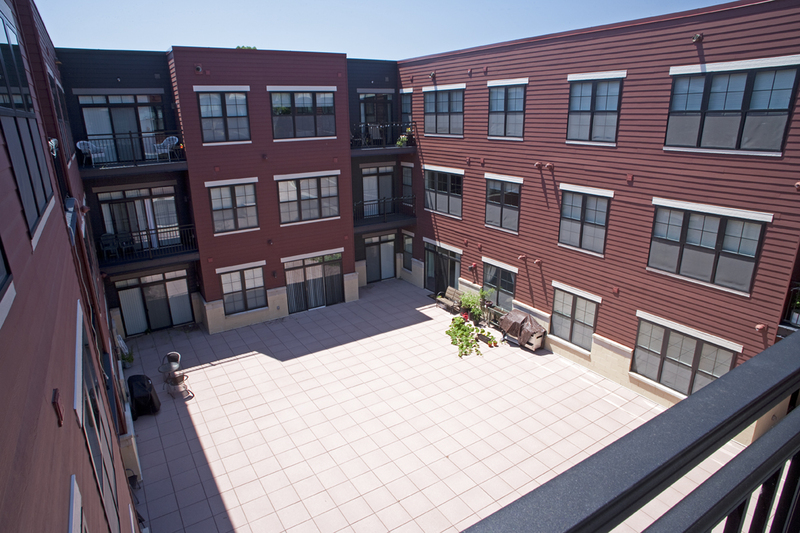 Several high-quality, modern features and design elements were included such as a private interior courtyard as well as large covered balconies for each unit. The retail space on the ground floor houses Stone Creek Coffee, an added bonus for both residents and the neighborhood alike. 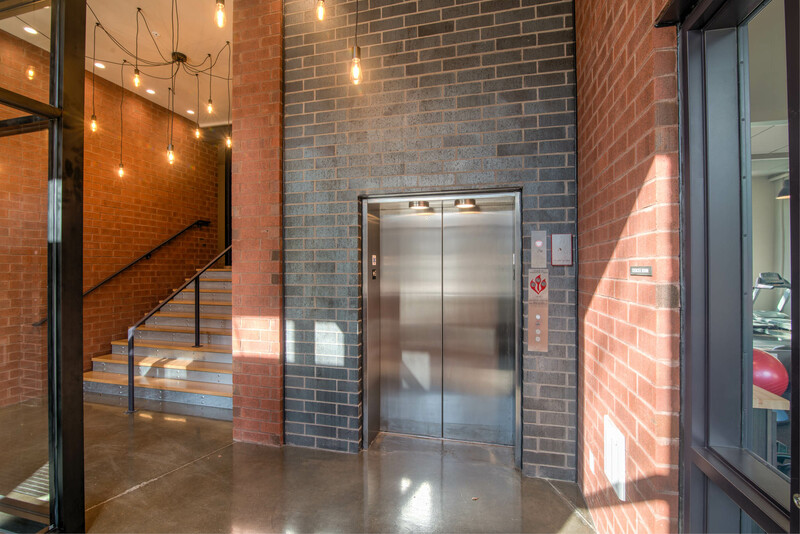 Amenities at Factory District cater to active residents with a 24-hr fitness center, dog run, bike storage and even a bike repair room. 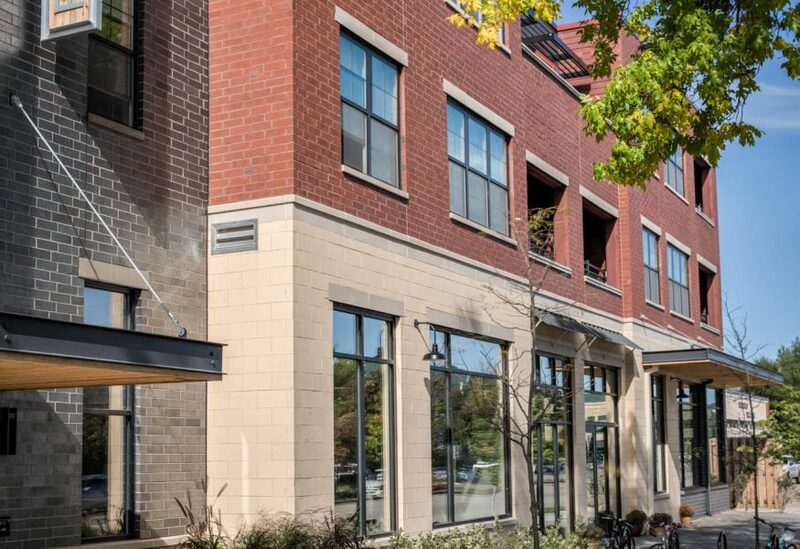 The location provides easy access to bus routes and bike paths as well as being just a short walking distance to local retail & restaurants. In order to have this project fit the area, we felt it was necessary to draw inspiration from the surrounding traditional buildings while also promoting the high quality craftsmanship to further help develop the revitalization of East Washington. Part of this was also fostering a ‘pedestrian-friendly’ public space on East Washington. 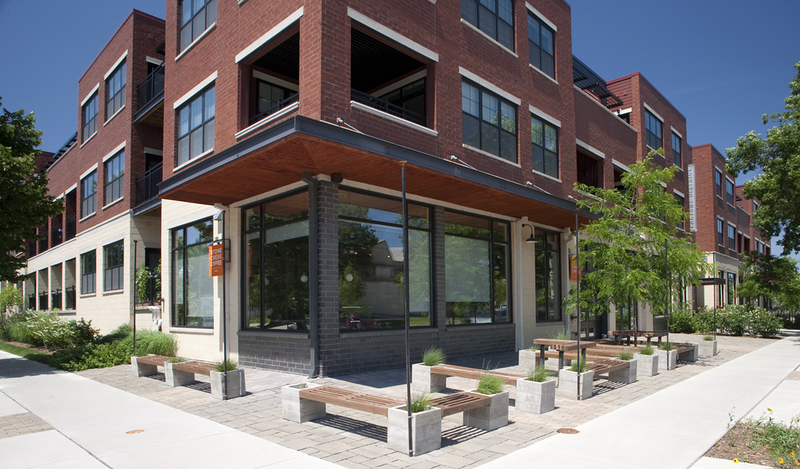 To do this, we incorporated gathering spaces along the path of pedestrian travel and included design elements like modern benches, planters and overhead doors along this elevation for a greater connection to the streetscape. These features support and enrich the community spaces residents enjoy but also are inviting to the public as a whole. Efficiency in design was key in planning the development to fully maximize the space on site including moving vehicular parking away from the streetscape and into the underground parking level. 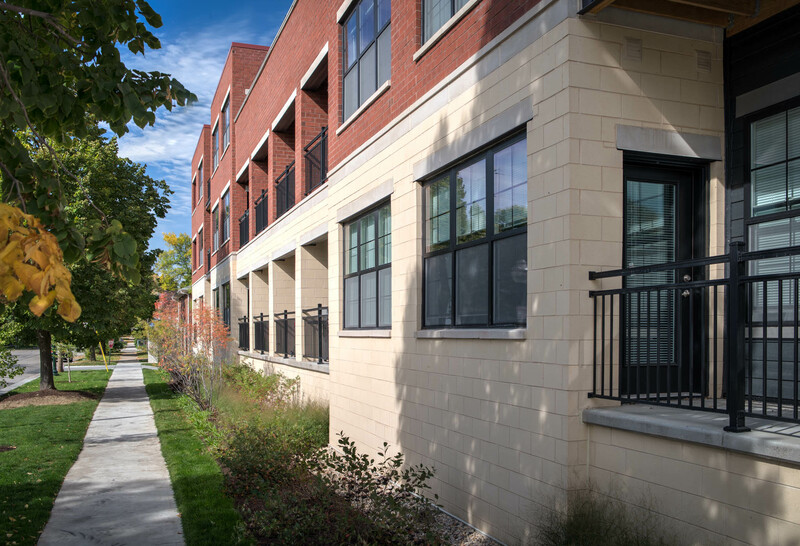 By minimizing vehicular impact to this site and the surrounding area, it allowed the addition of amenities like bicycle parking and the interior courtyard.